Demonstrating its “overwhelming” military force to North Korea, South Korea conducted bombing drills just hours after Pyongyang launched what appeared to be an intermediate range ballistic missile that reportedly fell in Japanese waters. 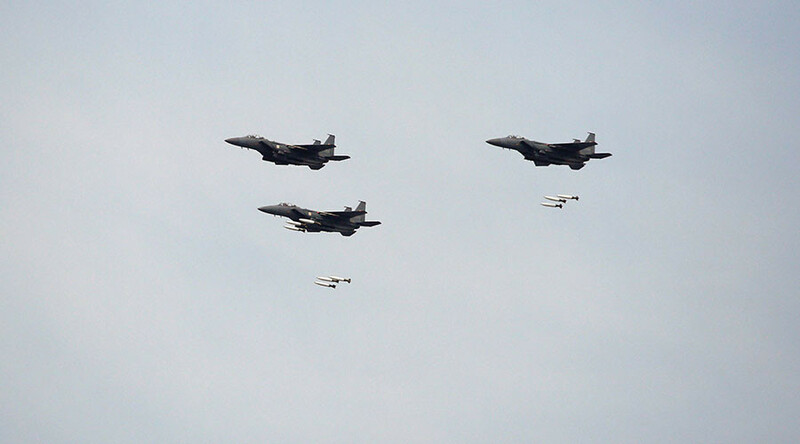 The show of force, ordered by South Korean president Moon Jae-in, involved four F15K fighter jets dropping MK84 multipurpose bombs on a shooting range near the inter-Korean border in Taebaek, the presidential press secretary told reporters, according to Yonhap. 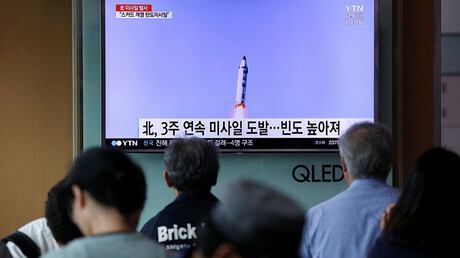 Moon’s chief press secretary, Yoon Young-chan, said the bombing drill was ordered immediately after the National Security Council meeting convened to discuss possible counter measures Seoul could take against Pyongyang’s ballistic missile provocation. “We assessed North Korea’s provocations as extremely severe and decided to maintain a vigilant posture in preparation for the possibility of additional provocations by North Korea,” the chief of the National Security Council added. South Korea's foreign minister, Kang Kyung-wha, has meanwhile discussed the incident with the US Secretary of State Rex Tillerson. The diplomats agreed to pursue additional UN sanctions against Pyongyang, Yonhap reported. The UN Security Council is reportedly scheduled to meet Tuesday, but the time of the meeting has not yet been confirmed. “South Korea, the US, and Japan jointly requested the UNSC hold an emergency meeting to address an emergence of threats to the peace and security,” an official at S. Korea's foreign ministry, told Yonhap. Both Russia and China supported the last round of UN Security Council sanctions against Pyongyang – although Moscow and Beijing have been offering their own roadmap out of the crisis. The “double freezing” Chinese-Russian initiative, welcomed by Germany but firmly rejected by Washington, proposes that North Korea stops its ballistic missile and nuclear activities while the US and its allies simultaneously halt their war games in the region. As South Korea responded to Pyongyang's latest provocation, the Japanese Air Self Defense Force (JASDF) staged a pre-planned Patriot surface-to-air missile battery training exercise.